Saving space and weight while improving performance and aesthetics. 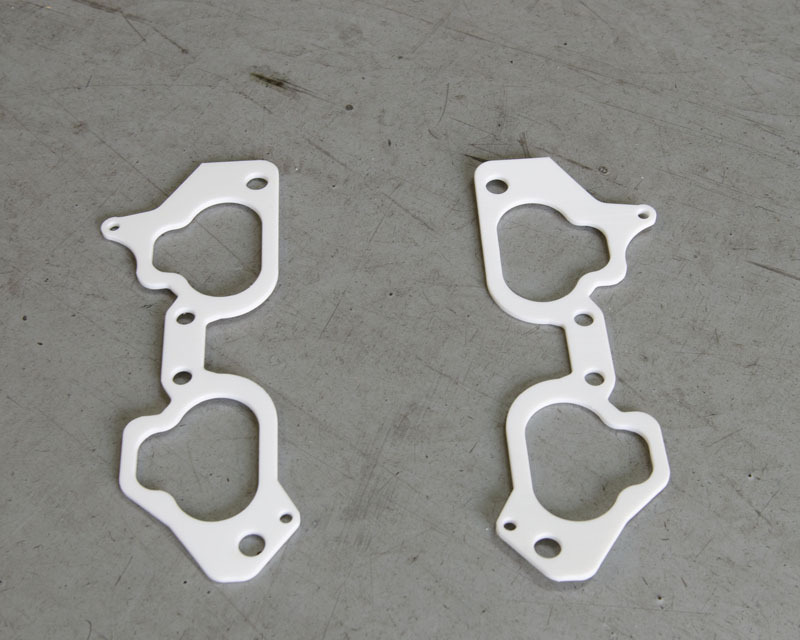 This engine harness is for the Nissan S13 & S14 KA24DE. This engine came stock in the 89-98 S13 & S14 240sx.. Many people swap the engine for an SR, RB, JZ, GM LS, etc…but the KA24DE engine can be quite the powerhouse if done properly. 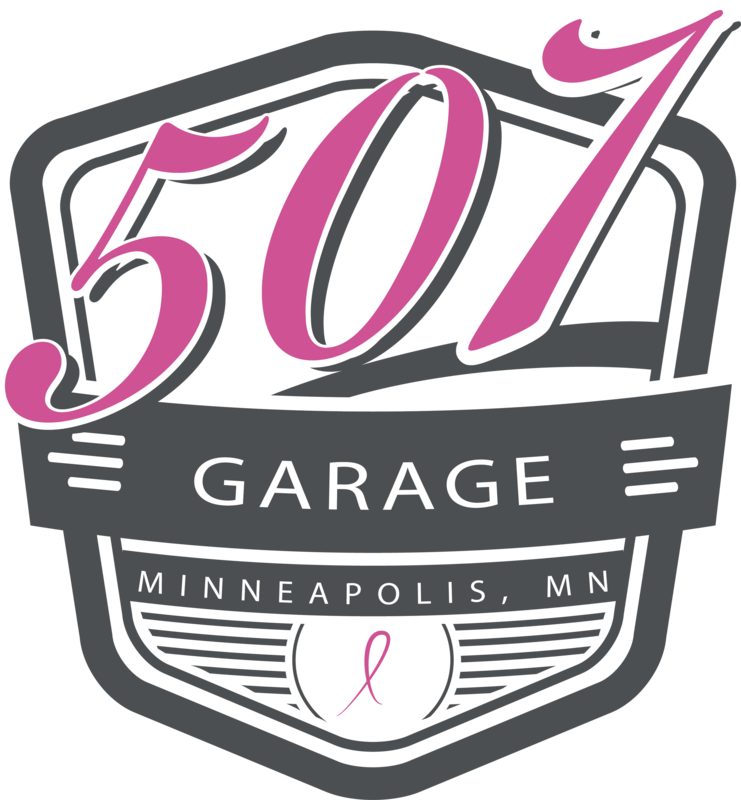 If you are swapping this engine or simply modifying the one in your existing chassis, you will probably need a new reconfigured engine harness to adapt to your chassis, increase longevity, and/or add electronic accessories. With this harness you will receive the added improvement of each of those elements, along with helping to improve engine bay aesthetics. 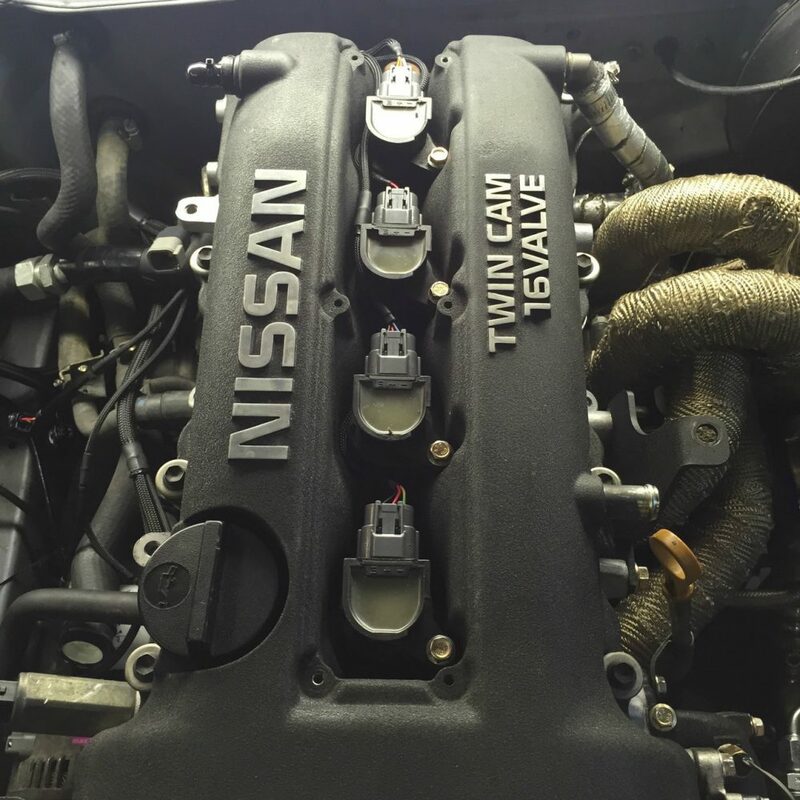 The OEM engine harness provides us almost limitless room for design improvement. 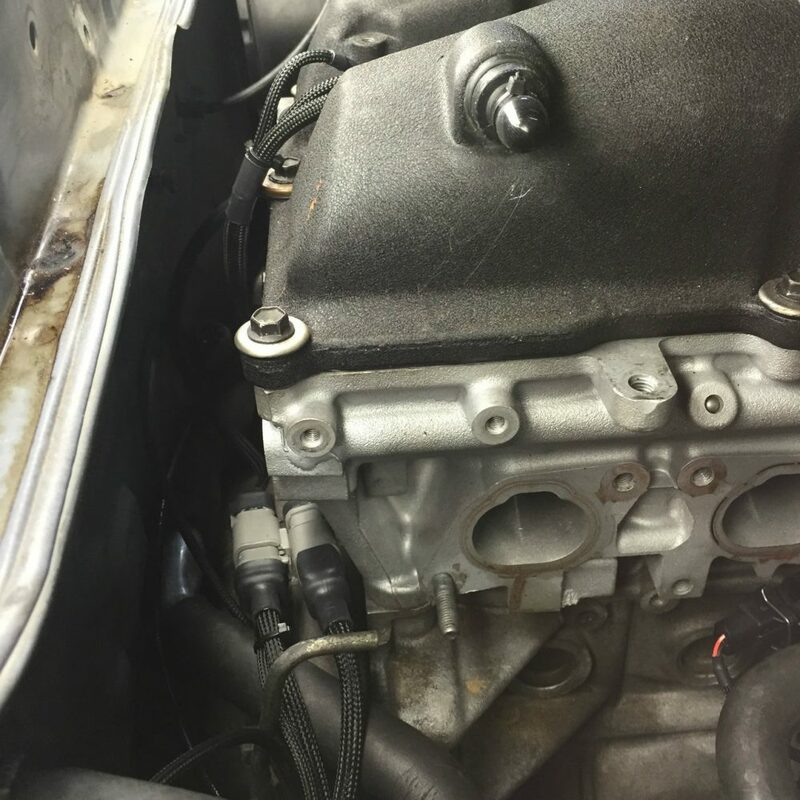 OEM wiring includes many features that enthusiasts will not utilize and thus they add unnecessary clutter and weight, as well as reduce the ability to aesthetically accentuate the engine bay. 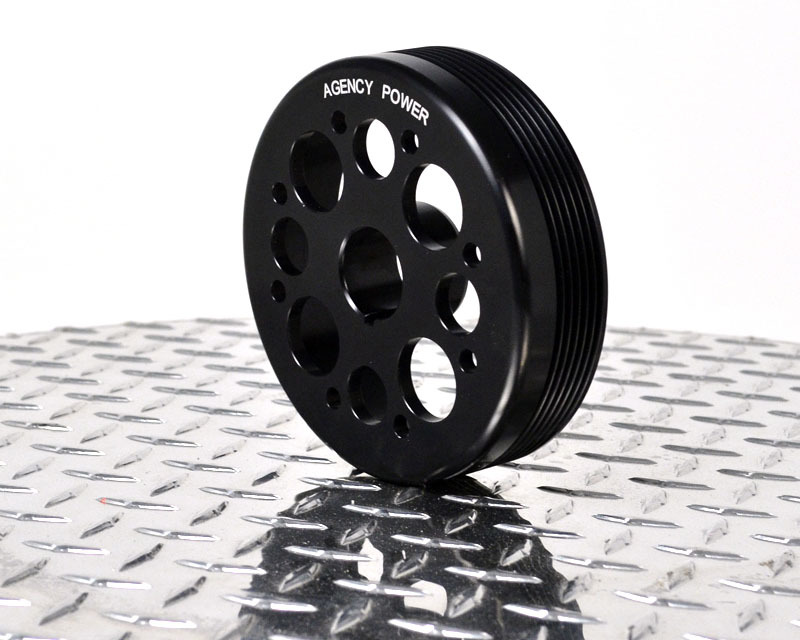 Our harnesses are designed to be better than OEM quality with newer improved quality wires, connectors, and loom designed to last. 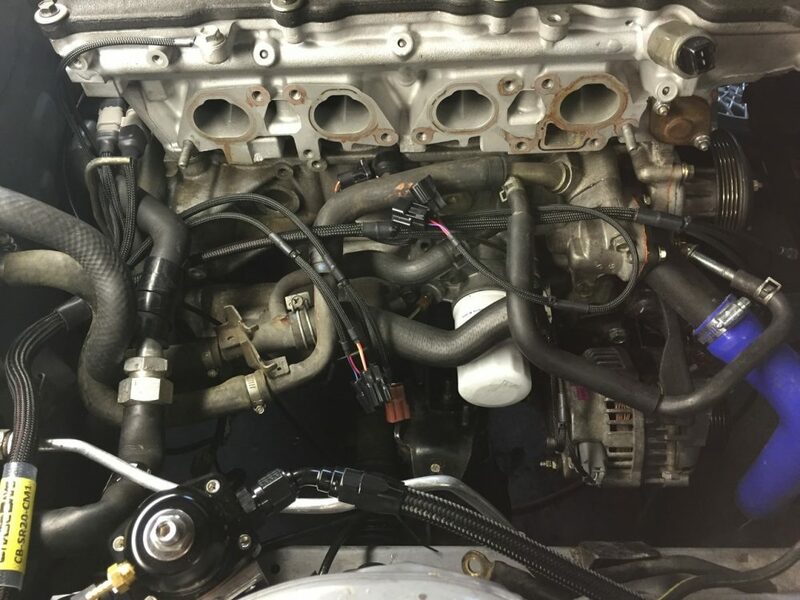 They are more flexible and simpler by design than the OEM harness, and they are mapped out in the engine bay to offer the most appealing and maintainable installation we have found possible. 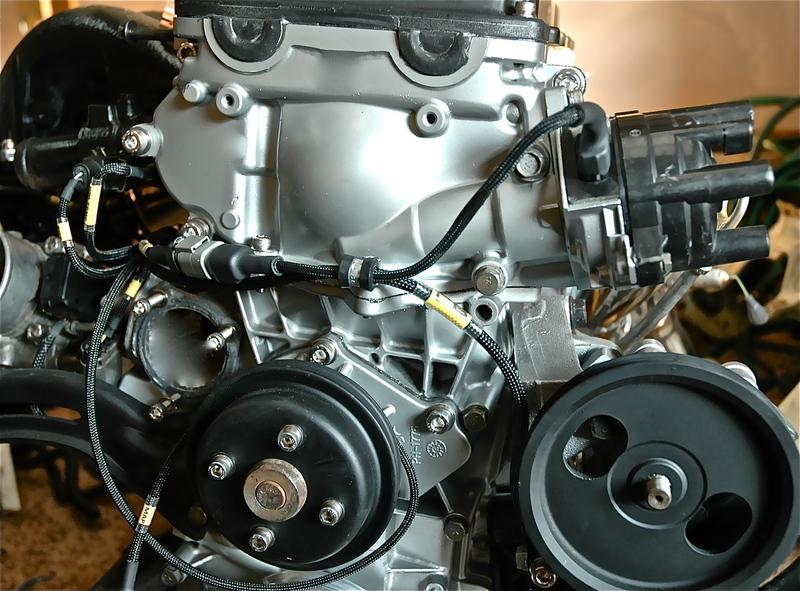 Our engine harness offers many revisions over the OEM harness. Many of our harnesses integrate the upper and lower/trans harnesses into a single harness. The Chase Bays engine harness routes directly to the ECU with a plug-in adapter for multiple chassis sub-harness options. 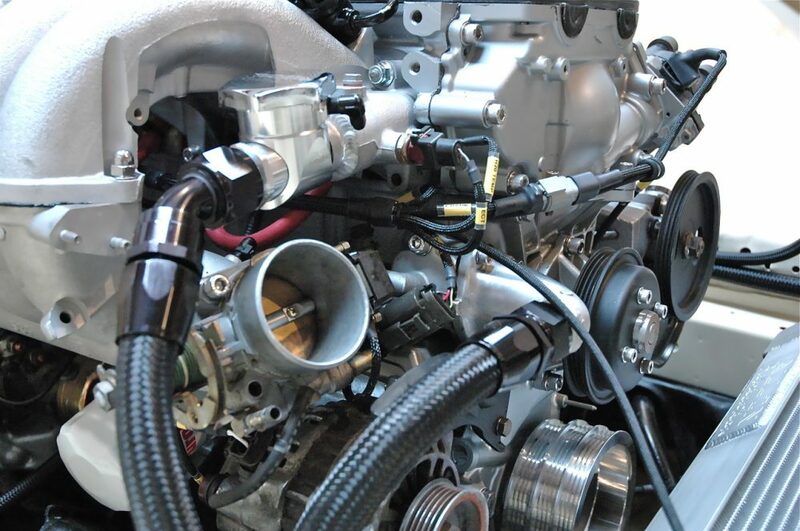 The bulk of the harness routes closely to the engine and under the intake manifold. We use Deutsch connectors for the MAF/MAP disconnect, coil packs, and optional boost controller solenoid. This allows for a variety of options for multiple setups. The final result is a harness that features improved aesthetics and versatility, easier install and maintenance, and premium quality and durability. Switching different sensor types, such as switching from MAF to Speed Density MAP/IAT, is easy with our sub-harnesses. Simply swap out the sub-harness and drive. We can do the same with distributor/coil pack setups and many other similar changes, just specify when ordering and we can build you the harness you need. A 100% brand new engine harness. Every connector, sensor terminal, every wire, every splice, and everything else is 100% new. No cut and modified wiring. No more intermittent 15+ year old wiring harness problems for you. 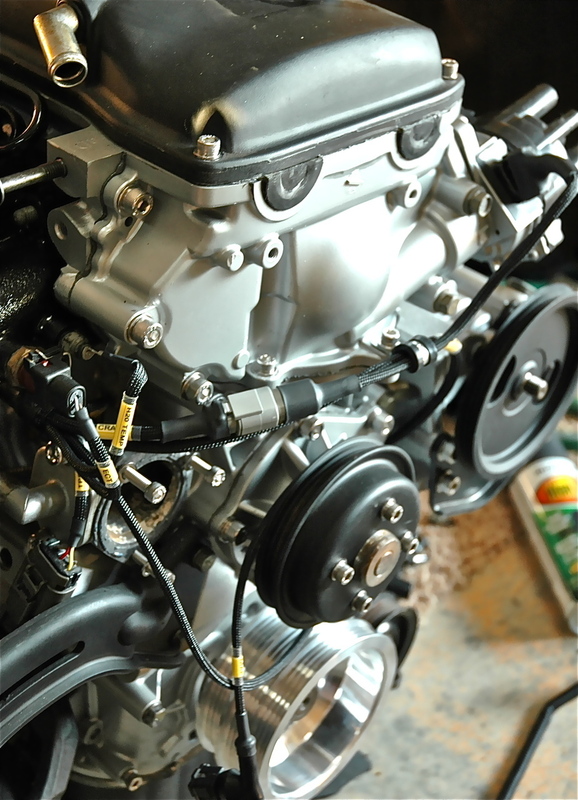 With the Chase Bays Engine Harness you can start fresh. 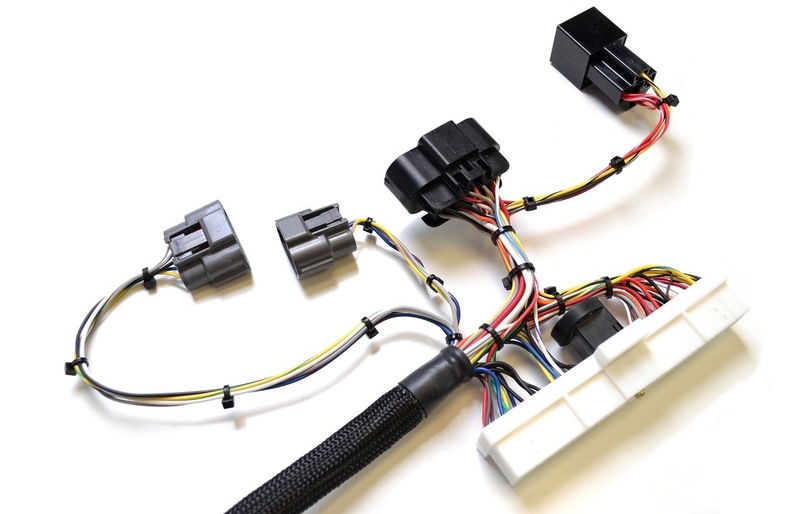 You can select from the options we offer to make the wiring harness a customized product for your motor and chassis. 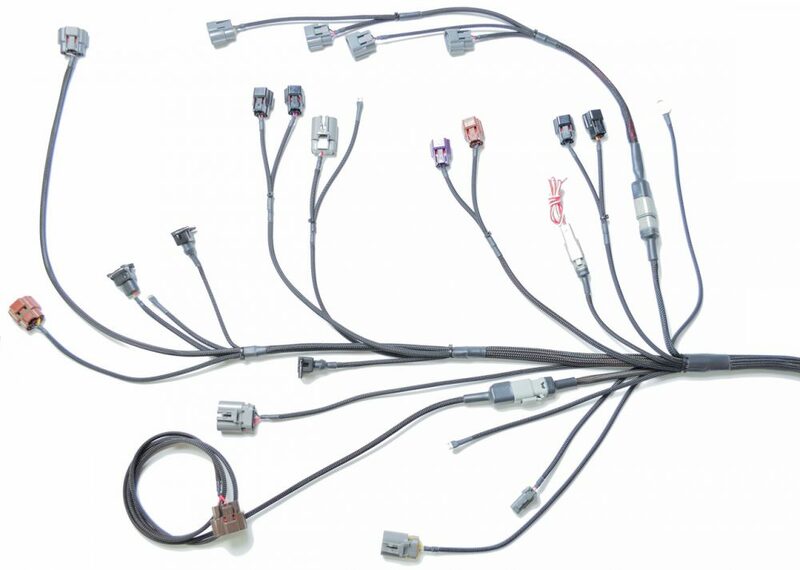 Injector type, chassis, ECU type, and more…Chase Bays offers a wiring harness like no other company in the world. 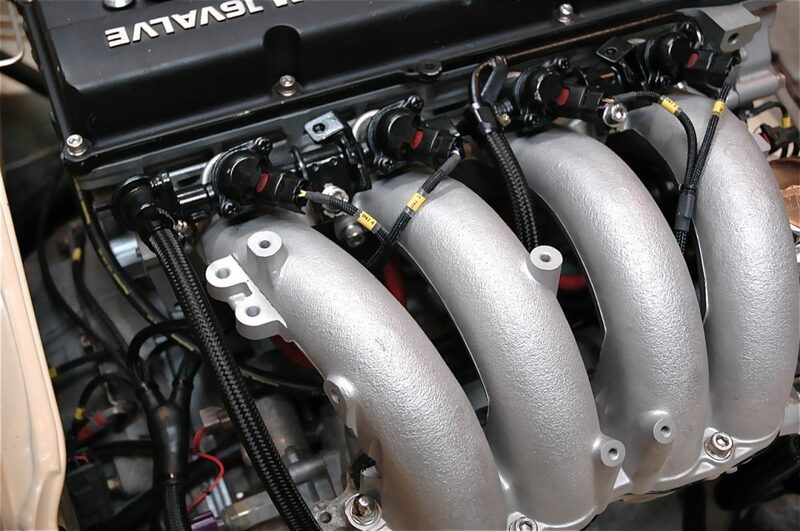 Since day one we’ve offered 3 models of engine harness. CM1, CM2, and CM3. The numbers only represent a price difference. Every harness is our best harness, only depending on what you need or want from your engine and engine bay. 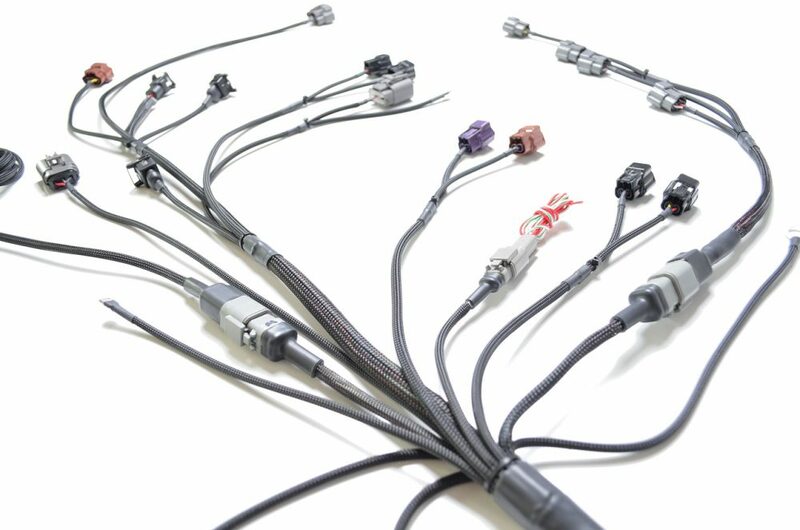 No matter what those needs and wants may be, we offer an engine harness to suit you. All of our harnesses adhere to the same requirements we’re known for. Save weight and space. 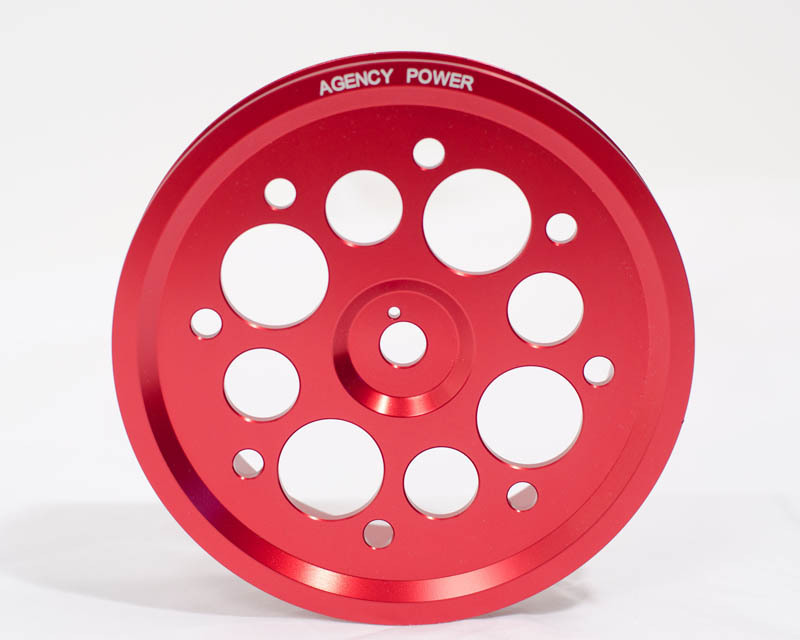 Improve aesthetics and performance. All the sensors and functions you need, plus a few extra. Use 142499 points to purchase this product!